Rifast Systems LLC, Lincolnwood, IL, has launched a new line of clinch studs. 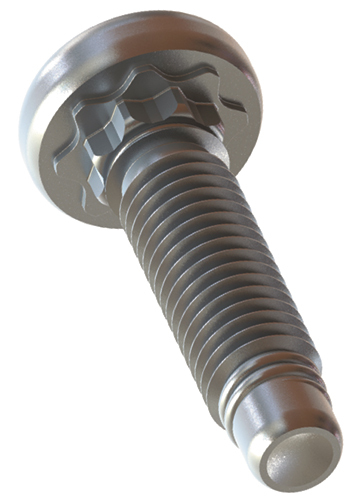 Dubbed Torqex (Torque Extreme), the studs, when installed in sheetmetal 2.75 mm thick or greater, create a connection between the fastener and sheetmetal that cannot be broken by torsional loads. The firm offers samples of M8 x 32-mm studs at grade 10.9 steel and A286 stainless steel. The studs have been successfully tested in 3-mm steel exhaust flanges, Grade 50 HSLA and 3.5-mm hot-rolled steel. Order the studs as a complete package for in-die installation or as studs only for stand-alone secondary operations.